Nissan Cape Town: Nissan is to compete in Formula E in the 2018/19 season, showcasing the Nissan Intelligent Mobility platform. Nissan has revealed its concept livery at the Geneva Motor Show which was designed by Nissan's Global Design team in Japan. Nissan revealed its Formula E intentions at the 2017 Tokyo Motor show – debuting its Formula E livery concept from season five which is expected to begin in December 2018. Included at the Geneva Motor Show unveiling, Nissan revealed its black, silver and red colour scheme – the aggressively-style Gen2 FE car features new aerodynamics, an entirely new battery and powertrain package. The new package provides more power, more range and eliminates the need for the mid-race car swap which has been used in the first four seasons of the championship. Nissan's entry into the racing championship coincides with the launch of the new generation Formula E car. This would be Nissan's first move back into a major international racing category since it abandoned its failed LMP1 project at the end of 2015. 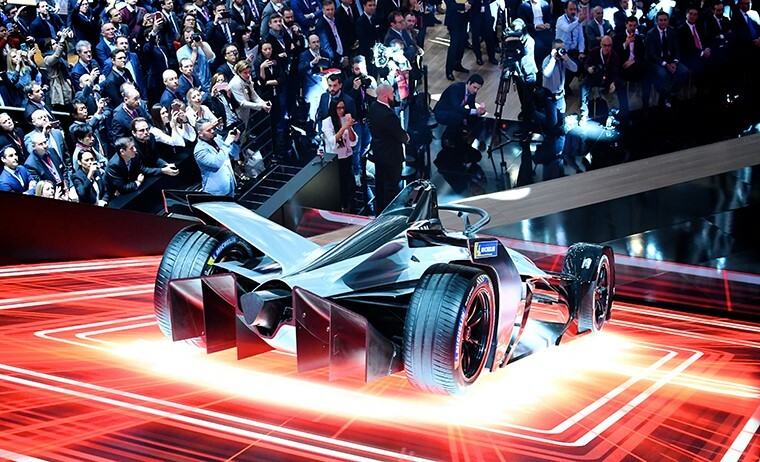 "At first glance the season five Formula E car looked to our design team like an EV-powered supersonic bird in flight," said Alfonso Albaisa, senior vice president of global design at Nissan Motor Co., Ltd.
"Naturally this initial reaction from the team started us on a path that captured a sense of a form breaking free of resistance and gravity". 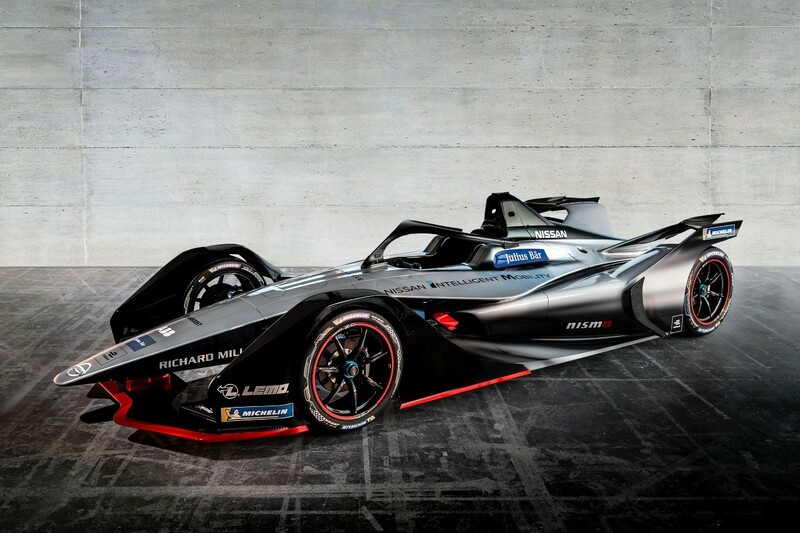 Albaisa continues, "Formula E racers are virtually silent, with explosive speed bursts thus naturally we turned to Doppler when designing the livery. The combination of the sonic pulse of the Doppler effect and the released power of a sonic boom inspired our celebration of EV Racing!" The Nissan Formula E Car Explained. Watch Below! "Nissan is proud to be an innovator in electric vehicles on the road with the Nissan LEAF completing more than four billion zero-emission kilometres around the world" said Jose Munoz, Chief Performance Office, Nissan Motor Co., Ltd. Munoz says that they want to bring their innovative EV expertise to motorsport. Nissan Intelligent Mobility is the company's three-pillar strategy to redefine how its vehicles are driven, powered and integrated into society. Munoz continues, "…the ability for Nissan to use this championship as a key development platform for our EV technologies and to be able to race in major city centres around the world makes it a perfect vehicle for us to showcase Nissan Intelligent Mobility". Nissan is working with its alliance partner Renault to take advantage of their expertise and focus on collaboration and maximizing synergies to boost competitiveness. The Nissan global motorsport director, Michael Carcamo says "the level of competition in the Formula E championship is on the rise" so, this collaboration gives Nissan a competitive edge. Nissan will become the first Japanese automotive brand to race in the all-electric FIA Formula E racing championship. FE recently announced that races will be shown live on Twitter in Japan for the rest of the 2017/18 season. Alejandro Agag, FE founder and CEO, highlighted how important the Japanese market is to the series. He says that "having a name and a big Japanese brand like Nissan on board highlights" the shift to electric and the transition from track to road. 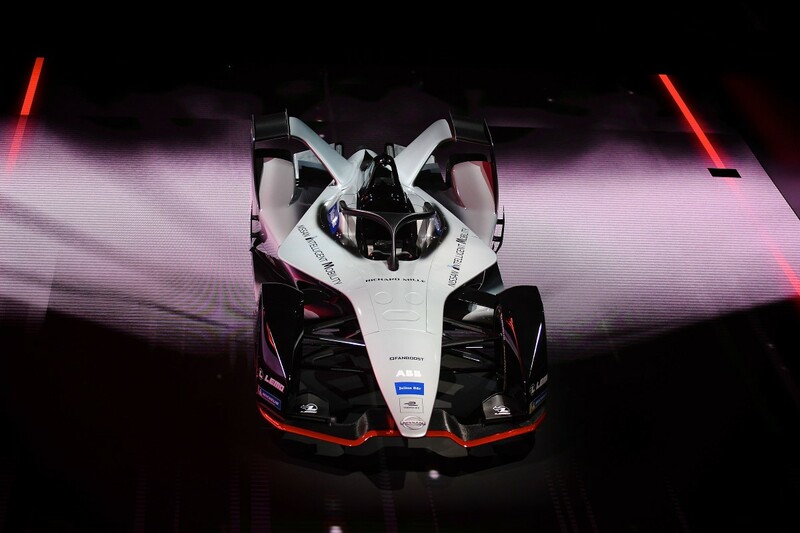 He continues to say that "Japan is a key player in the automotive sector worldwide, as well as an important territory for fans of Formula E – of which there are many in Japan". Michael Carcamo, Nissan's global motorsport director, says "we're entering the championship on a level playing field this year with every manufacturer competing with a brand-new car, battery and powertrain combination from season five". The fifth season of the ABB FIA Formula E championship is expected to visit major international cities including Hong Kong, Berlin, Zurich, Rome and New York and to start in December 2018. The new car that will debut in season five is scheduled to race in the Formula E championship for the next three seasons. Further details regarding Nissan's drivers and other technical and marketing partners for its Formula E debut are expected to be announced later this year, so make sure to stay-tuned to our blog.